9n 1.4 16v AUB EGR delete ? 9n 1.4 16v AUB EGR Delete/Blank/Disable/unplug ? Our 2002 engine has the EGR valve tucked away at the back (rear) of the engine,I am starting to plan a reasonably major service for next spring (or before but very weather dependent up here LOL).I will be replacing the oil separator because we do get oil in the intake,I would also like to sort the EGR as it is difficult to clean out properly .Not keen on spending £100 plus on a replacement egr which really is a waste of time for our driving - we do not do much town driving so usually longish cross country or mway trips.On my old Pug 306 TD I just unplugged a small elec plug which disabled the egr but did not bring up an EML caption - however I am sure that the 9n engine management system is far more sophisticated then the old Pug and I realise that any egr delete will also require the resulting EML caption to be 'massaged' away LOL. So does anybody know chapter and verse on EGR options for the 1.4 AUB engine please ? Re: 9n 1.4 16v AUB EGR delete ? I'm not questioning your knowledge of that engine, but are you sure that it is an AUB and not a BBY ? I've only ever found the EGR valve on the front of the engine which seems okay as the exhaust manifold on the BBY engine is at the front of the engine, and never found it to be needing cleaned out - only the point where the EGR valve outlet connects to the TB area. What fault codes are being logged on that car? Last edited by RUM4MO on Tue Nov 28, 2017 9:24 pm, edited 1 time in total. I know what you mean Rum. That sounds weird, but if that is what it is then that is that. Is your car a Sport or something as the AUB engine output I think is 100PS like its newer version which is the BBZ ? As far as I thought, the EGR for all these engines lives near the exhaust manifold, which it connects directly to, which is at the front of these engines, very weird! When I started looking for info on the EGR - all I can find is pics of the front mounted EGR LOL. Can you PM me the reg? I checked the reg - it is in fact an AUB, though it has crossover with the BBZ to confuse matters. Many thanks Alex - Any particular reasons for not blanking egr ? As I posted previously - the egr is not particularly important for our sort of driving - it being mostly long distance and or x-country and we avoid large towns like the plague whenever possible. Anybody know of a good online/trustworthy ebay source for a throttle body to inlet manifold seal 036133073 ? KMS are good. And the seal is elring which is top quality. 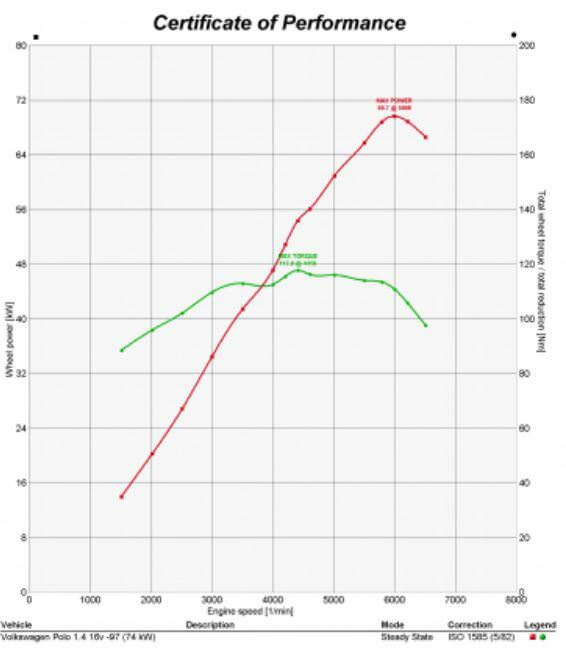 Good, at least we are all talking about the same parts, I've found that these EGR valves do not get clogged up on these engines, the only area of concern is where that exhaust gas pipe enters the throttle body area, keep that area clean and you should not be getting any EGR flow faults logged. Thanks Rum - yes I have cleaned the pipe out as much as poss and am currently waiting for the oil separator to be delivered,I did not order it until I had removed the old one and physically checked the part number LOL.